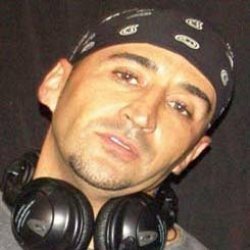 GL: Very cool that you’re able to wear many hats, Carlos, as a singer, songwriter, multi-instrumentalist and producer! Which album(s) are you currently promoting? GL: Really enjoy the videos, lyrics and melodies for your “I Feel Fine With Ya By My Side” (http://youtu.be/c7YCY21Q1tU), “Living on a High” and “My Way Home.” How did these all come about, and which album(s) are they on? CW: I tend to write about personal experiences, the way I see the world, my stances on certain concerns that we all have, and I try to write in such a way that people can ultimately relate to them in their own way because of their own experiences and viewpoints. “Living on a High” was based on a poem written by my best friend. 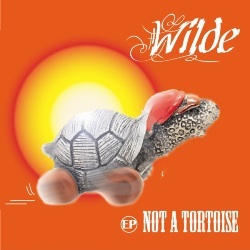 The songs “Living on a High” and “My Way Home” are on the EP “Not a Tortoise” – “I Feel Fine With Ya By My Side” has not yet been included in a project. CW: The Jones Shuffle happened quite naturally– One day Hunter S Jones (writer and music blogger) and I talked about doing something together, and we thought about a music blog but with a different approach – so we decided to approach the blog with a question: “If I were stranded on an island, what singles, LPs, Cassettes, CDs, MP3s, 4s and iPods would I take with me? “ – I then answered the questions with some humorous bits in between. I actually created a “fun” video with the recorded answers plus pictures and very short music clips of the artists I mentioned, but it couldn’t be uploaded to YouTube to avoid copyright infringement. A pity, because it was a cool, fun video in which I was paying tribute to artists I admire and respect. GL: I saw on Fandalism that some of your musical influences are: The Clash, Patti Smith, Clannad, The Police, Miles Davis and Aerosmith. How did these groups/musicians in particular influence you? CW: I tend to listen to most genres since I firmly believe that great exponents can be found in each and every one of them. Rock, Pop, Soul and many more (the list is endless) have given us many delightful moments. My own path reflects all this. GL: Which music genres do you work in primarily? CW: I would say mainly Rock and its many subgenres, but, as previously pointed out, you could easily see me doing a jazzy, bluesy, funky, pop, punk tune as well as other alternative styles. I like experimenting. GL: Do you ever employ ‘the drop’—like in dubstep? If so, then in which tracks? CW: No, I don’t – I’m not familiar with the techniques used in electronic music. I have heard cool tunes in the genre or subgenres – I, myself, have a collab with an English musician/friend of mine in this genre, but it is not a type of music I would listen to on a regular basis. GL: Two of your tracks were featured on Localia TV, correct? Have you considered writing movie soundtracks? CW: That is correct – I was interviewed in an Arts Program/Programme for Localia TV and had two tracks featured on the show. Regarding movies, as opposed to writing a score for a movie, I would actually like to get a tune of mine as the main song/theme in an indie movie. I’m working on it – as in, doing research on how to best go about doing this, talking to friends that may have relevant input on the subject, etcetera. GL: Where can readers go to connect with you and your great music? CW: Well, I am present on a number of sites such as ReverbNation, SoundCloud, Myspace, YouTube, Fandalism, Facebook, Twiiter, Bandcamp, CD Baby, iTunes, etcetera. Alternatively, readers can “Google” Carlos Wilde. CW: I would also like to take this opportunity to say “Thank You” for interviewing me and for believing in and supporting INDIE. GL: Thanks, Carlos! Looking forward to hearing lots more from you…Cheers! Great interview Carlos. Your music is much appreciated and loved. You are a true asset to our world, a giving, talented spirit. Great interview with Carlos. I has been a pleasure listening to his music all these years.